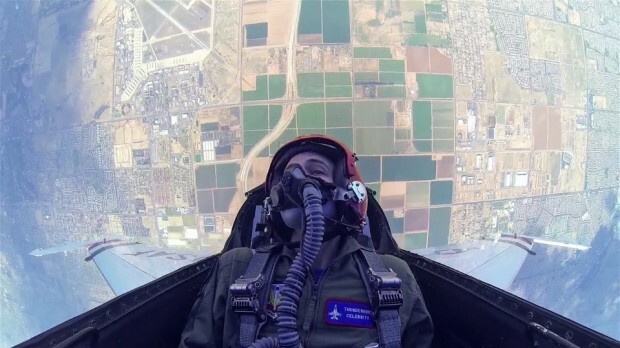 The view from inside one of the AF Thunderbird’s F-16’s. The thing that stands out in my mind the most is the Plexiglas canopy provides one hell of a panoramic view. Not sure if you even realize that with the helmet however.